Smooth-flowing ink delivers scratch-free writing every time. Vibrant gel water-based ink is acid-free and archival quality, keeping your documents clean. See-through barrel lets you know when you're running low on ink. 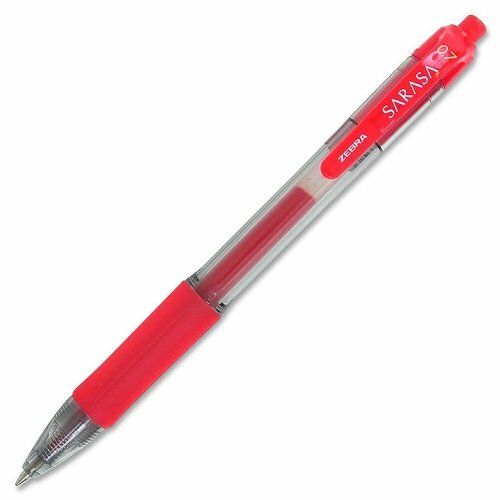 Special Ink Type: Gel; Pen Style: Retractable; Ink Color(s): Red. Includes 12 pens. Not recyclable but is refillable with Zebra ink refill.